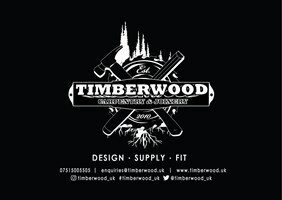 Timberwood Carpentry & Joinery - Bedrooms, Carpenter, Kitchens based in Hinckley, Leicestershire. 16 years trade experience, covering all aspects of carpentry & joinery. 1st fix, 2nd fix, traditional/truss carcassing, kitchen fitting, furniture fitting, flooring. Please contact Edward Flavel for further enquiries.